There are few things as wonderfully striking as quality flooring perfectly installed in one’s home. From the beauty of laminate to the pleasant impact of deep hardwood flooring and Scandinavian designs, it can’t be underestimated just how much proper flooring can affect one’s home. However, this kind of mirror-sheen quality isn’t something that can be kept up without the right type of maintenance. If your flooring’s going to be looking as good as the day it was first installed, then it’s important to understand how to maintain it. It’s absolutely essential to know the right way of cleaning your flooring, because accidentally using products meant for other materials could have disastrous effects – this is especially apparent on wooden flooring. The same way you want to keep your entire house tidy, you will want your floors to look clean and polished as well. If your flooring is laminate, then that means its sheen is hardy and resilient, but it will inevitably stain without the right kind of support. Avoid using mops or cleaners as they can damage the material. Instead just use a simple damp cloth to take care of any nasty spills. You can also use acetone to take care of particularly tough stains (oil, etc.). If the flooring is wooden, a bit of waxing can go a long way, but it’s very important to know what could damage it. Just like laminate, avoid wet mops and do not steam clean the flooring. 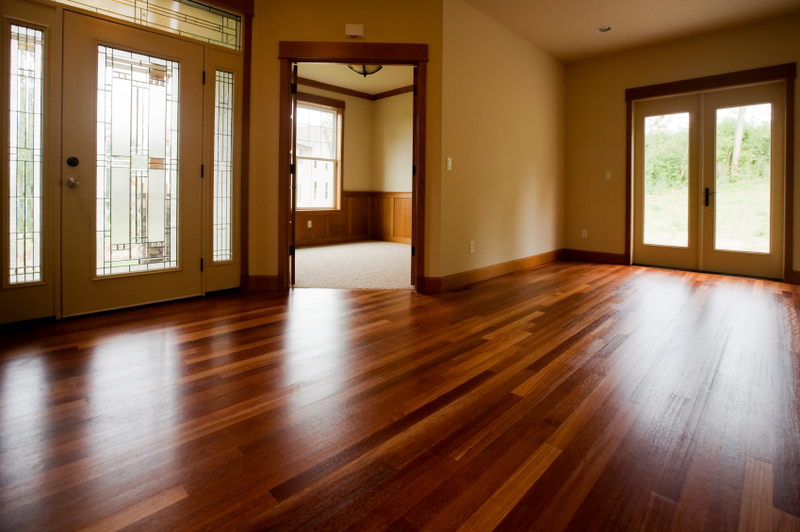 A damp mop can do wonders for a wooden floor’s sheen. For specific material such as vinyl, there exists a variety of different cleaners out there which can most definitely get the job done. Avoid using the other methods to clean this type of flooring and instead go for products specifically made for it. Whether it’s using high heels on wooden floors or accidentally using vinyl cleaner on other materials, you could damage your flooring in such a way that makes it look completely awful. This means that you’re going to have to invest in repairs, which can cost quite a bit depending on the damage. Just like any other aspect of your home, maintenance is essential if you want to save money. Taking care of your flooring isn’t difficult, but it does require focus and effort to get the job done. There truly is a lot that beautiful flooring can bring to the table, provided that it’s taken care of. With the right kind of maintenance, beautiful materials such as luxury vinyl can continue to wow your family and guests alike. All you need to do is be aware of what you need to do to keep the specific types of flooring properly maintained.